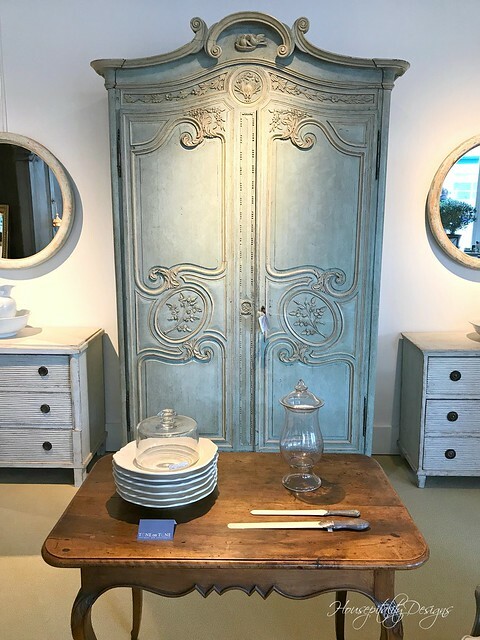 about his most gorgeous shop in Bethesda, Maryland, Tone On Tone. decision to close his shop and concentrate more on his interior design business. and the gorgeous accessories. Now, he has placed his beautiful items on sale. There was one item in particular that I fell in love with. and maybe you can guess which piece is coming home with me. A Birthday gift from my hubby to cover the next 10 years … or more! Let’s start with this amazing French circa 1750 marriage/wedding armoire.